Blue Barrel Farm was started in 2010 by Pam Erthal with the goal to grow and supply people around the Fort Collins area with seasonal produce. She is passionate about growing and has years of experience growing fruits and vegetables using organic methods. Blue Barrel Farm is her way of sharing that passion of fruits and vegetables with you. Blue Barrel Farm is a small farm which grows vegetables, fruits, and herbs using organic methods of no herbicides, no pesticides, and crop rotation. Compost is produced on-site using verma-composting methods. Blue Barrel offers a set number of various sized shares for each growing season. Share sign-ups for our 20 week growing season begin in early spring and boxes of fresh produce begin arriving in early June. Share prices do include delivery to homes and businesses inside Fort Collins or may be picked up at Blue Barrel Farm for a reduced price. 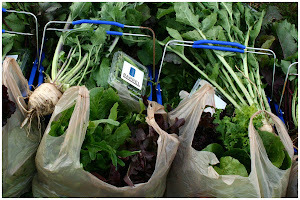 Blue Barrel Farm is a small CSA that brings fresh produce to the Fort Collins area. We offer a set number of shares for each 20-week growing season. 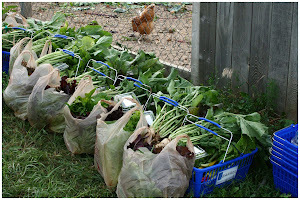 Sign up begins in early spring and delivery begins in early summer with the first harvest. Share costs are collected at sign-up.